Obituary for Gertrude Mae Farrare | Henry Funeral Home, P.A. 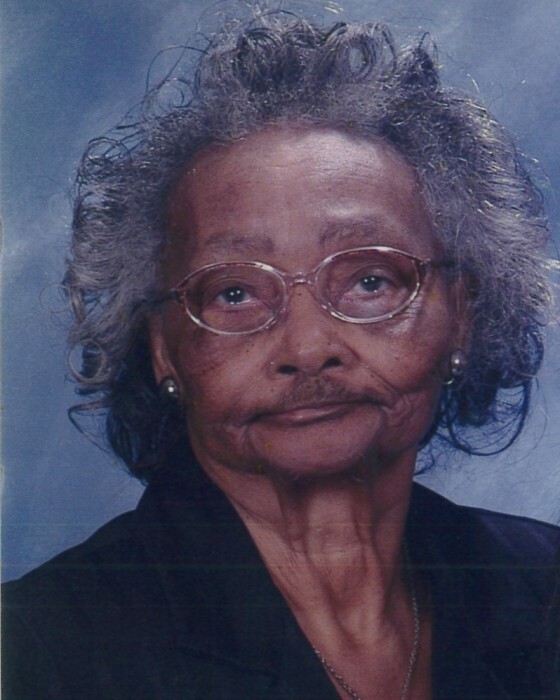 Gertrude Mae Lee Farrare, daughter of the late George Jackson and Emma E. Lee born on March 18, 1921 in Hicksburg Md went home to be with the Lord on Friday February 8, 2019 at the age of 97. She was educated in Dorchester county schools at Hicksburg Elementary and FD St. Clair. She received her GED thru Campbell Soup's Educational program. Gertrude was married to the late Charles Farrare. From this union, she had three sons Wendon, Frederick and Orlandus. She loved to read, laugh and be around family. Gertrude was a very loving and kind soul. She had a heart of gold. She was a faithful member of Hicksburg UMC and enjoyed serving as a communion steward. Later the church merged with Faith Community UMC under the leadership of Ashley Jones. She also enjoyed listening to gospel music. Her favorite hymn was "How Great Thou Art". Gertrude also belonged to the Flying Needles Social Club. She worked in several canneries and later became a dedicated employee of the Campbell Soup Company in Chesterton,Md for 25 years as a deboner and a shop steward. Her memory shall be be cherished by her devoted children Wendon (Ethel) of Cambridge,Md ,Donald Farrare of East New Market, Dana (Howard) Williams of Easton, Md and Germaine Farrare of East New Market,Md. ; eight grandchildren Andre Kane (Twilliamae) of Cambridge,Md, Kevin Jones of Cambridge,Md, Delores Sheffield of Hurlock, Md, Wendon Farrare Jr., Jeffery Farrare and Andy Farrare of Cambridge,Md, Dominique Farrare of Portland, Me and Shanita Farrare of Dover De. ; twelve great grandchildren Chermaine (Cambridge,Md), Anthony Jr, Kevoia and Dijion of North Carolina, Zhane, Aasyhia, Samihra and Jamal of Maine, Autmn, Cocobae, Emmabae and Gabriel of Baltimore and a host of nieces, nephews, cousins and friends. She was preceded in death by a sister Marion (Ike) Salters, two sons Orlandus and Frederick Farrare and niece Portia(Tyrone) Maxwell.